Food is a big part of our day at all stages of life. It is something that we look forward to, that we create and cultivate, and something that we each have learned lessons about as far as likes and dislikes. This is why we put quality and care into our planning, preparation, and service at Great Northern Retirement Home. 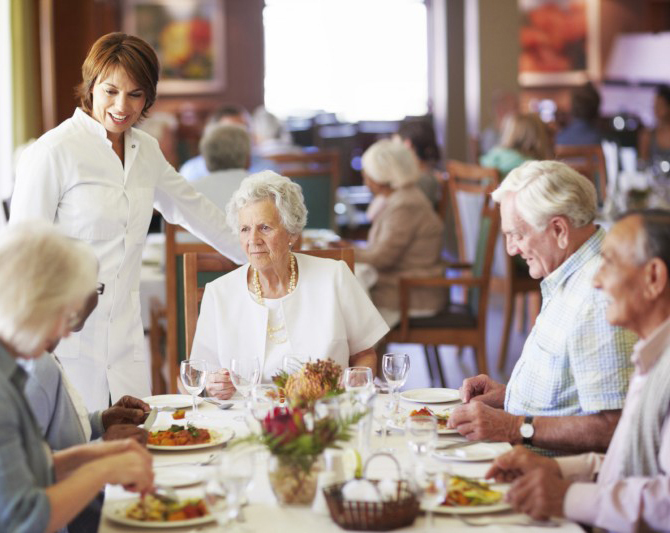 Yes, meal times are important and we hope to please our residents. Our menus are designed using four week cycles and are published twice a year. One of the best things about our planning is that we offer alternatives on our meal plan so that our residents have a choice at mealtime and are not locked into one selection. We do our best to consider your food likes and dislikes with the goal of formulating a meal plan that is nutritious, delicious, and diverse so that your dietary needs are met and we can also please the palate. Guests are welcome to join residents for meal time. If family is attending, please note the receptionist so that the kitchen staff is prepared for your visit.